The first Vet Futures Summit saw around 120 people gather at the Royal Veterinary College in Camden, London, to hear how the Royal College of Veterinary Surgeons (RCVS), British Veterinary Association (BVA) and British Veterinary Nursing Association (BVNA) have set out a blueprint for the future of the veterinary surgeon and veterinary nursing professions. 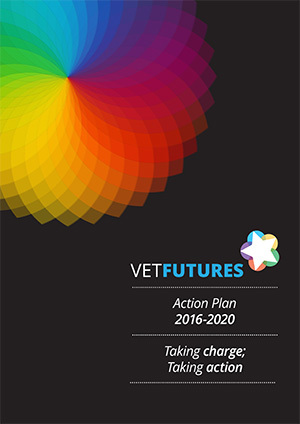 The event, which took place on Monday 4 July, saw the release of the Vet Futures Action Plan 2016-2020, developed by the Vet Futures Action Group, which details how the RCVS and BVA intend to meet the 34 recommendations set out in last year’s Vet Futures Report. Throughout the course of the Summit, many of the Action Group members reported to delegates on the specific areas that they were championing, covering topics such as technology and innovation, the future of veterinary education, career diversity, One Health, ethics and animal welfare, leadership, mental health and communicating the value of the profession. Bradley Viner, RCVS President, said: “It was great to see such a wide range of delegates attending this event, including veterinary surgeons from a range of different areas, such as clinical practice, academia and industry, as well as veterinary students, veterinary nurses, other allied professionals and even people from very different backgrounds, such as psychologists and lawyers. 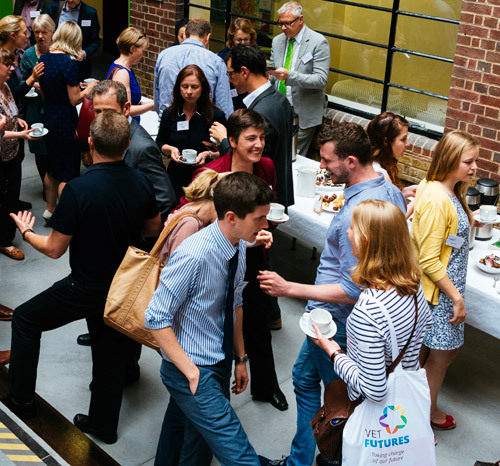 “The range of speakers and topics they covered were equally diverse – ranging from specialists in the psychology of relationships between clients and professionals, to graduate outcomes, to how we can better value the services offered by veterinary surgeons. Every delegate was asked to vote for the seven priorities from the Action Plan that they thought were the most important. The three priorities that received the most votes were supporting the Mind Matters Initiative; developing a veterinary leadership programme; and starting a UK One Health coordination group. Sean Wensley, BVA President, said: “We are committed to delivering all of the actions in the Vet Futures Action Plan but it was interesting and useful to obtain views from delegates on what their main priorities are. 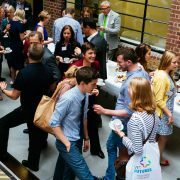 “It is no surprise that support for the Mind Matters Initiative emerged as the number one priority. We are extremely ambitious for our professions with a clear desire to improve the health and wellbeing of animals, people and our environment through expanded One Health working, but we can only achieve everything we hope to if we are happy, healthy and fulfilled ourselves. “The Summit also heard from international colleagues in the USA and Europe congratulating the UK on taking forward the Vet Futures initiative, a timely reminder of the need to maintain our outward-looking perspective and relationships with colleagues from across the globe. The Summit also saw the launch of the VN Futures Report and Action Plan, the culmination of six months’ work from the VN Futures project, which sets out six broad ambitions with 31 recommendations for the veterinary nursing profession over the next five years. These ambitions are to create a sustainable workforce; develop structured and rewarding career paths; support a confident, resilient, healthy and well-supported workforce; take a proactive role in One Health; maximise the potential of nurses; and have a clarified and bolstered role for veterinary nurses via reform of Schedule 3 to the Veterinary Surgeons Act. A specially-made animation about the VN Futures project was also launched during the sessions, along with the Vet Futures Action Plan and VN Futures Report and Action Plan. Delegates made pledges on how they would support the Vet Futures and VN Futures projects throughout the course of the day and were encouraged to upload these to Twitter. 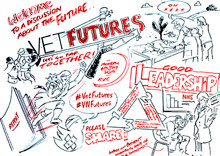 To find these pledges, and more information from the day, please search for the hashtags #VetFutures and #VNFutures. Videos from the day are available to view, along with pictures which can be downloaded from the RCVS Flickr account.